Location, location, location! The Views from the rear of this home are absolutely Breathtaking! Turn Key Home with more than 2000 SqFt. 5 Generous Sized Bedrooms many with Walk In Closets, 1st Floor Bedroom (s) can double as an Office/Playroom or Teen/in law living space. 2 Updated Full Baths, the open Master Bath concept offers a Jacuzzi Tub for Two, Skylight and Double Glass Block Wall. Vinyl Siding, New Thermal Windows and Exterior Doors throughout, Hardwood Flooring, New Carpeting, and Wood Burning Stone Fireplace. Charming Mudroom located off the Country Kitchen which offers plenty of Counter Space, Newer Appliances and Cabinets. Recently sealed Circular driveway, 2 Car Attached Garage, Inground Pool and Deck. Only 8 miles from the Thruway. 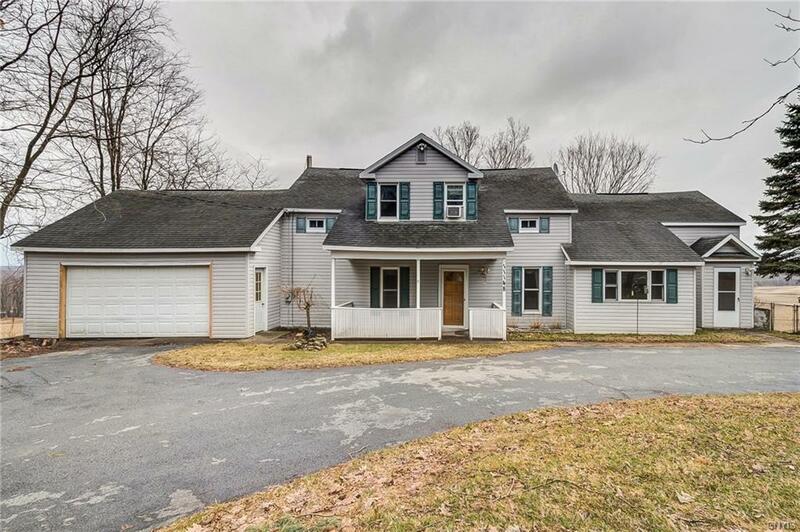 Directions To Property: From The Village Of Baldwinsville Proceed Towards Cato On W Genesee St For 3 Miles Then Bear Left Onto South St For 13 Miles, Left Onto Ny-34 Proceed 0.7 Miles House Is On The Left.